You will find two 7mm screws in the bottom of the compartment. Remove them. Read this entire step and study the photographs before proceeding. Gently lift and remove the center compartment up. The cigarette lighter adapter wiring harness is connected on the underside so do not yank this out. Once you have the console free, find and disconnect the wire harness for the cigarette lighter. There is a wire connected to the auxiliary power outlet in the lower center console. Press the table down and pull the wire harness free from the power outlet. 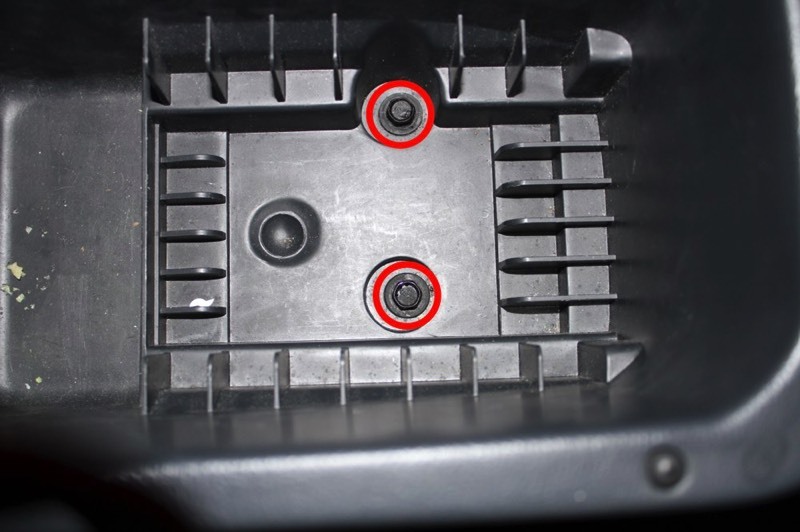 Remove the two 10 mm screws in the bottom of the console storage compartment. Locate and remove the 13 mm bolts at the base of the shifter handle. If you have an aftermarket shifter as the one pictured in the photo, you may have a different size/type of bolt head to deal with. The Pro 5.0 shifter takes a 6 mm hex drive to remove. 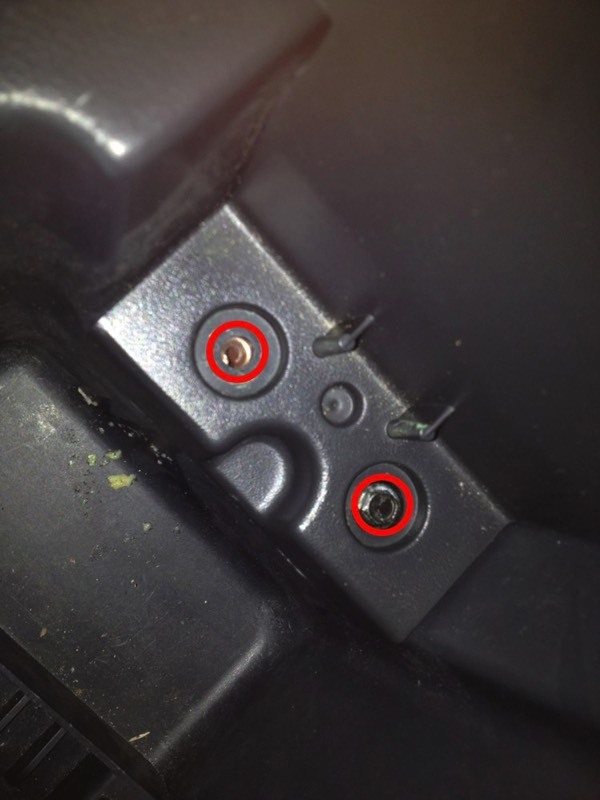 Locate and remove the 10 mm screw that is located below the ashtray. 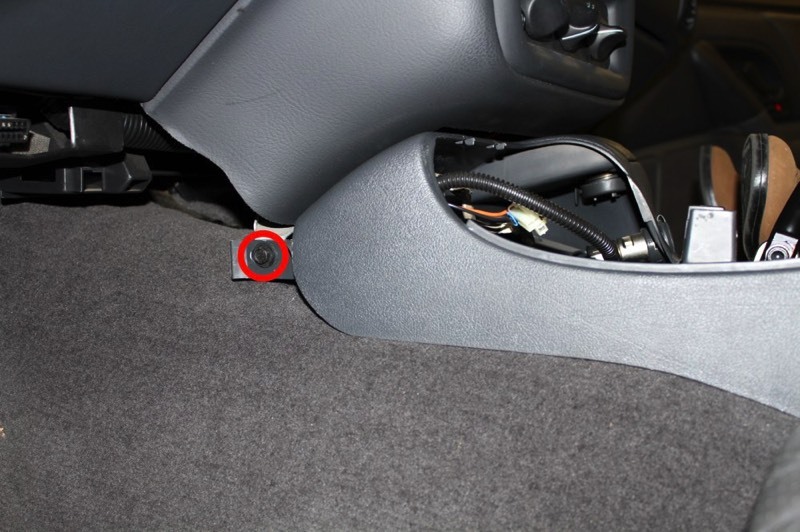 Locate and remove the 10 mm screw on the driver side down next to the gas pedal.